A team utilising the skill and experience of Timeform experts in specific areas of racing is responsible for seeking out outstanding betting opportunities. All the action comes under its scrutiny, be it turf or All-Weather, Flat or jumps, in Britain or in Ireland. 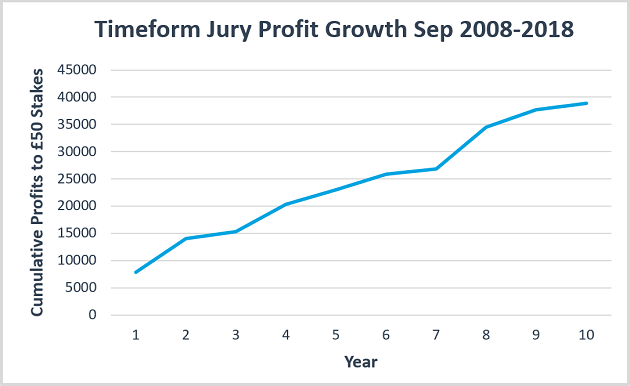 The Jury was officially launched in September 2008 and has secured profits for members in all ten years since. You can download complete bet-by-bet accounts for each of the years below. It's the best verdict on the day's racing! How does the Jury operate? Click here to read a comprehensive guide to the service. Every Jury bet since launch. The complete record of all bets is here. The advised prices quoted in the accounts were available with at least two major firms (ie bet365, Betfair Sportsbook, Betfred, BetVictor, Boylesports, Coral, Ladbrokes, Paddy Power, Sky Bet, William Hill) at the time the message was released. Please note that subscriptions are only activated in office hours (usually Monday to Friday, 09:00-16:30). TV Focus and The Long Ranger are also provided free for all Jury subscribers! Visit the TV Focus page and Long Ranger page for more information. 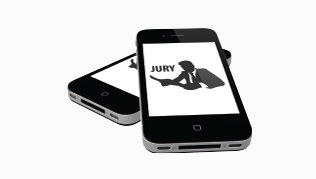 The free messages are delivered with the day's Jury selections in the same call.